Although spring showers may bring flowers, in Greencastle they seem to also bring an abundance of music. Before heading over to the fairgrounds Sunday for the Spring Fling Music Fest benefiting the Putnam County Non-Food Pantry, the DePauw University Band invites the community to its spring 2018 concert benefiting the Putnam County Emergency Food Pantry (PCEFP). 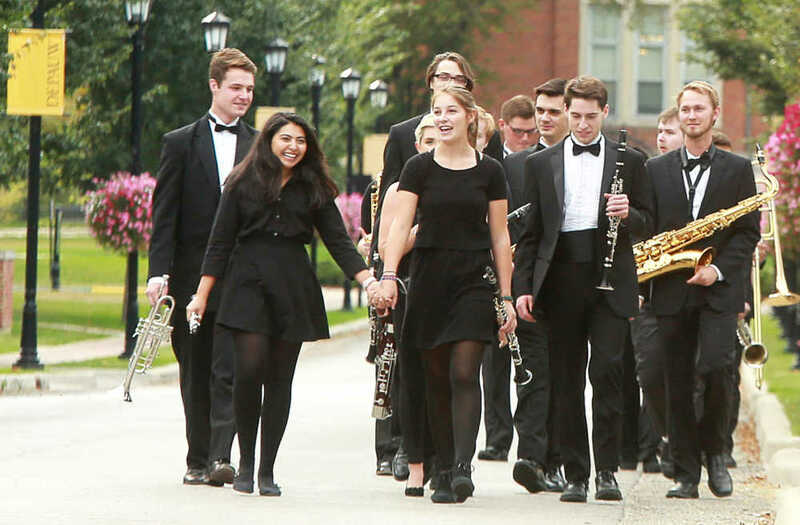 The band concert, which will be held in Kresge Auditorium, begins at 3 p.m. Sunday, April 29, allowing local music lovers to attend both events. 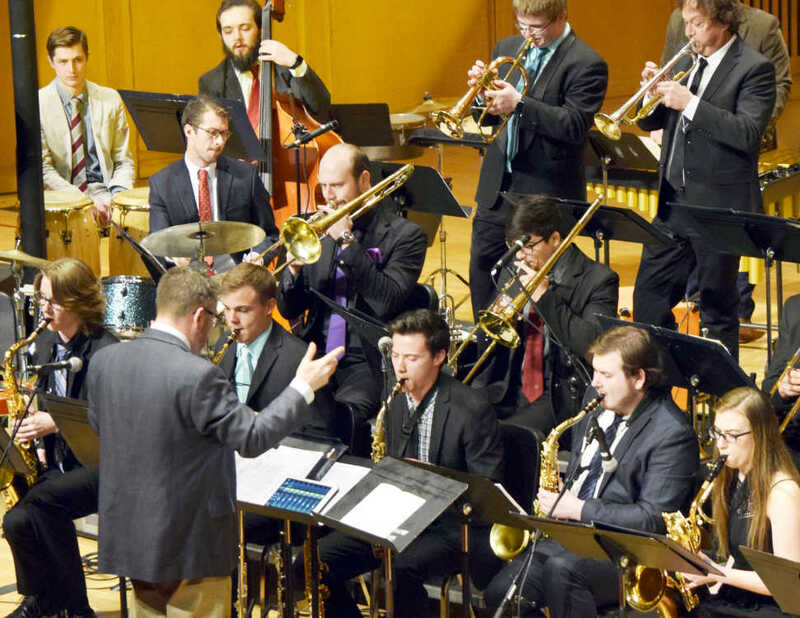 A trio of pieces from different eras of the Thad Jones/Mel Lewis Orchestra highlight a collection of all-classic big band music to be performed on the DePauw University Jazz Ensemble concert at 7:30 p.m. Wednesday, April 25 in the Green Center’s Kresge Auditorium. The program, which marks the final performance together by a pillar group of graduating seniors, also includes works by Stan Kenton and Duke Ellington. An arrangement from Nelson Riddle rounds out the repertoire. 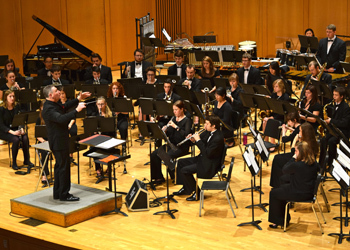 Audiences can enjoy an uplifting array of works for symphonic band and wind ensemble at the DePauw University Band’s fall concert on Sunday, Nov. 12 at 3 p.m. in the Green Center’s Kresge Auditorium — and give to a great community cause through its collection drive for the Putnam County Emergency Food Pantry. Included on Sunday’s program will be Steven Bryant’s “Radiant Joy,” John Philip Sousa’s original suite, “Looking Upward” and “Resting in the Peace of His Hands,” a beautiful work by John Gibson, which takes inspiration from a sculptural relief by Käthe Kollwitz. This year marks the 70th anniversary of the United States Air Force, as well as the 75th anniversary of The United States Air Force Band. 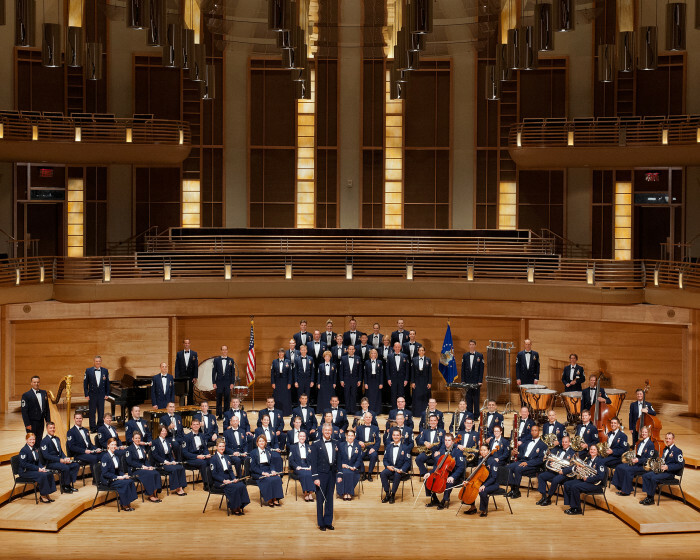 Next week, the United States Air Force Concert Band and Singing Sergeants, led by Commander and Conductor, Colonel Larry H. Lang, are heading to America’s heartland. The October tour is making stops in Missouri, Kansas, Illinois and Indiana -- including a Monday, October 23 performance at the DePauw University. Admission to the 7:30 p.m. concert by the Air Force’s premiere ensemble -- which will take place in the Green Center's Kresge Auditorium -- is free. Tickets, which are required, can be obtained online through the DePauw School of Music website. 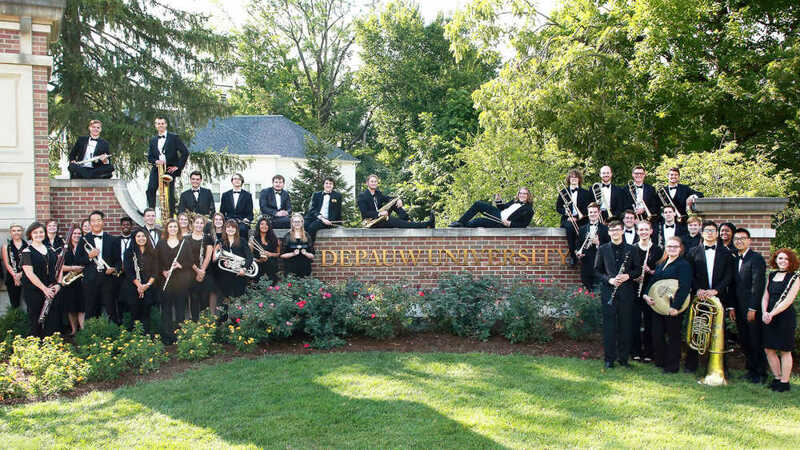 The DePauw University Band will open its 2017-18 season with a rousing concert performance at 3 p.m. Sunday, Oct. 1 in the Green Center’s Kresge Auditorium. Included on the program will be a mix of new and standard works for symphonic band and wind ensemble: “Amazing Grace” by Frank Ticheli, “Transcendent Journey” by Rossano Galante, “Yankee Doodle Fantasie Humoreske” by David Wallis Reeves — along with the world premiere of “Peruvian Fanfare No. 1” by South American composer Antonio Gervasoni. 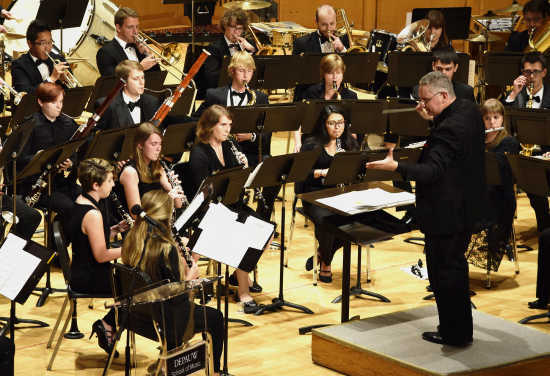 The DePauw University Band and DePauw Wind Ensemble, conducted by Craig Paré, will present “A Spring Bouquet” at 3 p.m. on Sunday, March 3, featuring a potpourri of classic works for symphonic band and chamber winds. Familiar composer favorites Mozart, Bach, Sousa, and Milhaud are joined on this concert program by new friends Washburn, Hearshen, Hays, and Husa for an enjoyable afternoon of music for winds and percussion. Audience members are encouraged to bring a non-perishable food item that will be donated directly to the Putnam County Emergency Food Pantry following the concert. Bring an item and receive a free ticket to the performance. The DePauw University Band, directed by Professor Craig Paré, will commemorate the 75th anniversary of Pearl Harbor during its Sunday, Nov. 13 concert with a performance of Richard Rodgers’ stirring soundtrack to the early television series “Victory at Sea” that documented the battle of the Pacific during World War II. The performance will be presented at 3 p.m. in the Green Center’s Kresge Auditorium. The tenth compact disc by the DePauw University Band, Everything Beautiful, will be released next week. On Tuesday, November 15 at 4 p.m., the community is invited to Kresge Auditorium as the band opens the first copies of the new disc and plays it in celebration of its release. The CD's eight selections were recorded in the spring, and include DePauw School of Music professor Anne Reynolds as featured soloist on Philip Sparke's A Lindisfarne Rhapsody. Suzanne Hassler, manager of marketing and publications for the School of Music, created the art for the packaging. The disc is being issed by the Mark Masters label and is available for purchase. 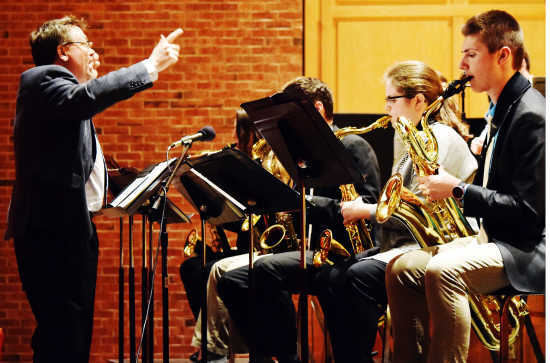 When the DePauw Jazz Ensemble, led by DePauw University professor Steve Snyder, takes the stage for its first fall concert at 7:30 p.m. Oct. 12 in the Green Center’s Kresge Auditorium, debuting along with it will be a new octet. 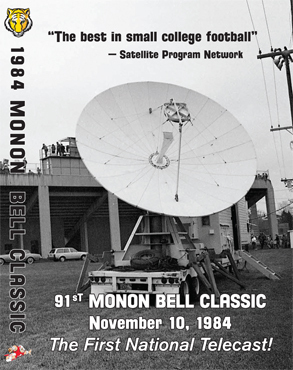 Wednesday’s program is inspired by a gift from DePauw alumnus Anthony Minstein, a 1974 graduate, who recently provided the group with many classic arrangements for this unique, new eight-piece instrumentation. 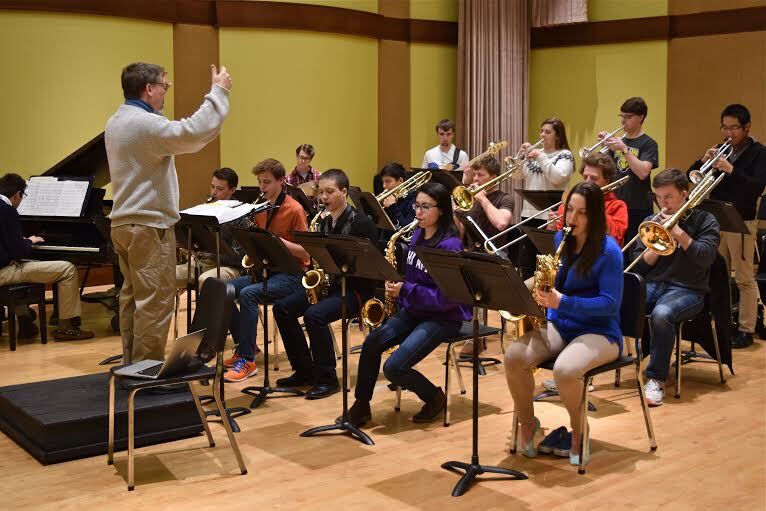 “The DePauw Jazz Ensemble has grown musically and artistically every year,” said Snyder, director of jazz studies at DePauw, “prompting the addition of a new group formed from members of the larger band. It’s comprised of the lead players in each of the winds — Lead Trumpet, Lead Trombone, Lead Alto (doubling on bari sax in the octet) and Lead Tenor — along with the full rhythm section. Donald H. White, a noted composer and music educator who taught in the DePauw University School of Music for more than 30 years and served as its director from 1974-78, died yesterday in Colorado Springs, Colorado. He was 95 years old. Born February 28, 1921 in Narberth, Pennsylvania, White studied music education at Temple University, composition at the Philadelphia Conservatory, and earned the M.M. and Ph.D. from the Eastman School of Music in Rochester, New York. 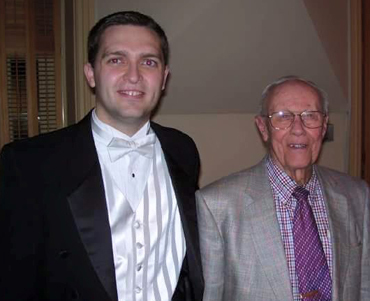 "I wrote my master's thesis on selected works of Dr. White's for band, and I am currently preparing my doctoral dissertation on his unpublished piece for band and chorus," says Adam Hilkert '08, an alumnus of the DePauw bands, director emeritus of the Tiger Pep Band, and now a doctoral candidate in instrumental conducting at George Mason University. 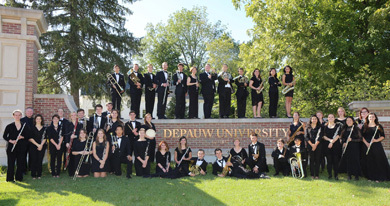 The DePauw University Band, directed by Professor Craig Paré, will present its first concert of the season this Sunday—a mid-afternoon matinee on September 25 at 3 p.m. in the Green Center’s Kresge Auditorium. For this performance, the band also invites audience members to bring one or more non-perishable food items for donation to the Putnam County Emergency Food Pantry. Any audience member presenting a food item at the box office will receive a free ticket to the University Band concert. 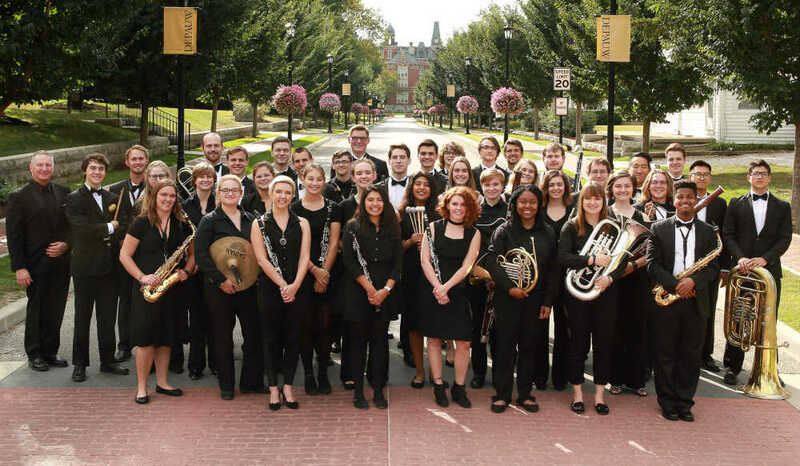 The music of the DePauw University Band has been featured on Wind & Rhythm, a weekly radio program carried on select public radio stations. This week's episode, "A Birthday for Our Country," can also be heard as episode 389 at windandrhythm.com and via the player at the end of this story. "We're in good company" for this patriotic episode, says Craig Paré, conductor of the DePauw University Band and Wind Ensemble, "with other performances by the United States Marine Band 'The President's Own,' the United States Air Force Band, and the United States Army Field Band." 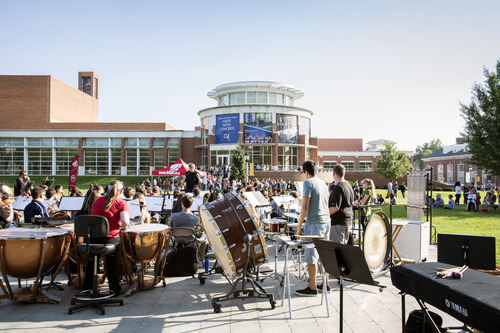 The episode features the DePauw University Band's 2002 Wind Journey recording of "The Star Spangled Banner (A Love Song to our Country)," arranged by Jack Stamp. 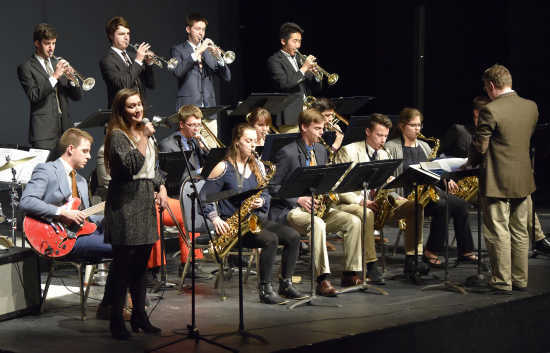 The DePauw Jazz Ensemble will welcome the Greencastle Middle School Jazz Band to the Kresge Auditorium stage Wednesday, April 27 for the ensemble's last concert of the semester. 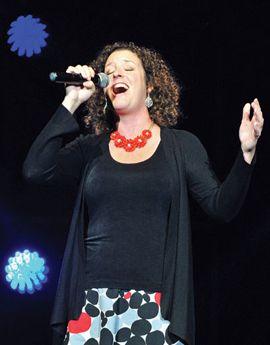 The concert will begin at 7:30 p.m. at the DePauw University Green Center for the Performing Arts. The 22-member GMS band -- led by volunteer DePauw student instructors Ciara McManus, Leland Nelson, Spencer Schillerstrom and Allan Whitehead -- will open the program with such standards as Henri Mancini's "The Pink Panther" and Neal Hefti's classic "Li'l Darlin'." 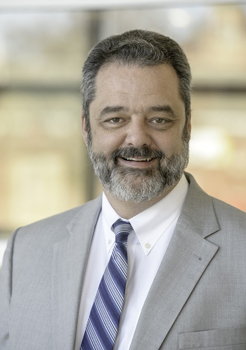 DePauw University’s Board of Trustees today unanimously selected D. Mark McCoy, dean of the DePauw School of Music since August 2011, as president of DePauw, effective July 1. He succeeds Brian W. Casey, who is leaving at the end of the current academic year to become president of Colgate University in New York. An 18-member presidential search committee — led by Kathy Patterson Vrabeck ’85, assisted by Isaacson, Miller, a premier search firm in the higher education and non-profit industry, and consisting of DePauw alumni, students, faculty and administration — after months of work, came to the conclusion that the top candidate was already on campus. That committee sent the choice of Dr. McCoy to the Board of Trustees. Today’s vote confirms the selection. The DePauw University Band, directed by Professor Craig Paré, will present its first concert of the year "Bach to the Future" on Sunday, October 4 — but at an unusual time. The Sunday matinee in Kresge Auditorium has been scheduled for 1:30 p.m. in order to allow interested audience members who would also enjoy attending the final performance of the musical production of Spamalot to do so at 3 p.m. in Moore Theatre, which is also located on the first floor of the Green Center for the Performing Arts. In its opening program, the University Band celebrates the great variety and richness that has been the symphonic band’s legacy. From transcriptions such as Erik Leidzén's great setting of J. S. Bach's monumental Toccata and Fugue in D Minor, to C. L. Barnhouse’s classic “screamer” march, The Battle of Shiloh, that pays tribute to the veterans of the Civil War, to rich harmonies of 20th-century composer David Diamond, and further to today’s composers — Eric Whitacre, David Gillingham, Samuel Hazo, and Richard Saucedo — wind music’s history features an array of styles, colors and moods. The DePauw University School of Music presents one of the favorite events of the fall season, DePauwpalooza, this Friday, September 18, at 5:30 p.m. It features not only free music but complimentary pizza. At the School of Music, September is synonymous with DePauwpalooza. Held with the assistance of DePauw Student Government, the entire DePauw community is invited to join in the outdoor celebration in Bowman Park. Six acts will be presented, with the University Band warming up the audience with Richard Saucedo’s “Wind Sprints,” a whirlwind of sound followed by the DePauw Chamber Singers, the cast from the department of theatre and communication's upcoming production of Spamalot, the University Chorus, and the Jazz Ensemble. As a prelude to its first fall concert, at 3 p.m. this Sunday (9/20) in Kresge Auditorium, the DePauw University Orchestra will close out the set with three pieces, including music by renowned film composer John Williams. 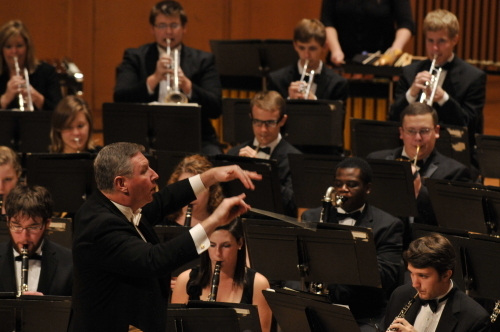 Craig Paré, professor of music, will lead the DePauw University Band in its final concert of the year, “Make a Joyful Noise,” on Sunday, April 26, at 3 p.m. in the Green Center’s Kresge Auditorium. The band kicks off the afternoon with the great brass ensemble piece, Fanfare pour précéder "La Péri," by Paul Dukas, followed by DePauw faculty member James Beckel’s Make a Joyful Noise, the final two movements of Walter Hartley’s Concerto for 23 Winds and the classic Suite of Old American Dances by Robert Russell Bennett, “the dean of Broadway orchestrators.” The concert will also feature Desi by Michael Daugherty (a tribute to Cuban bandleader and television star, Desi Arnaz), and wraps up with an arrangement of the exciting Festive Overture by Dmitri Shostakovich. “This is a nice ‘smorgasbord’ of works, with a variety of styles, all very lively and interesting in their own ways,” says Dr. Paré. 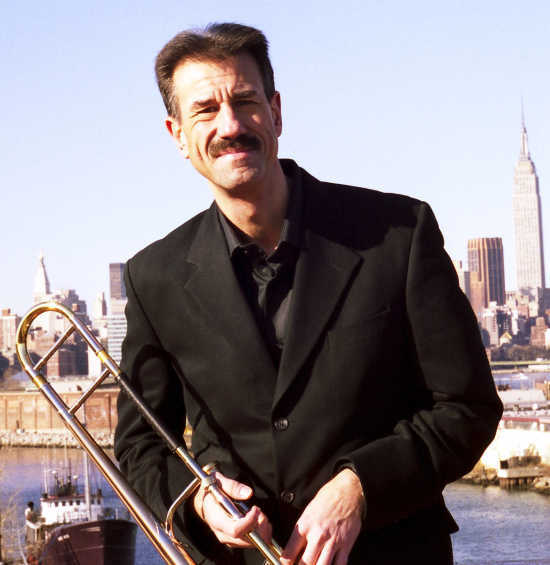 The DePauw Jazz Ensemble welcomes renowned trombonist John Fedchock to the Kresge Auditorium stage for a performance featuring the Grammy-nominated artist's original compositions Tuesday, April 21 at 7:30 p.m. in the Green Center for the Performing Arts. 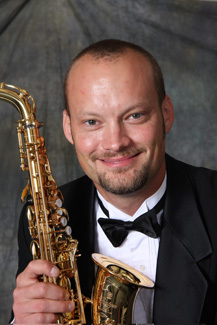 Fedchock has soloed with many of the world's most prominent jazz musicians including Woody Herman, Louis Bellson, T.S. Monk and Gerry Mulligan. 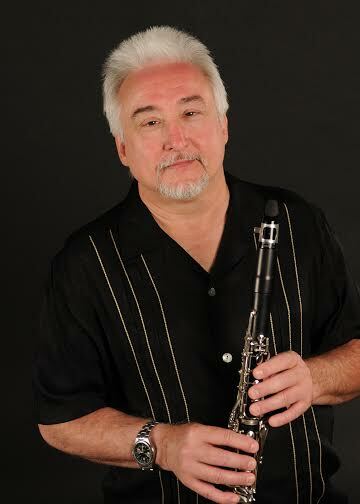 A distinguished, in-demand studio musician, he has also achieved critical acclaim for his work as a producer and arranger on several recordings, including "New York Big Band" and "On The Edge." 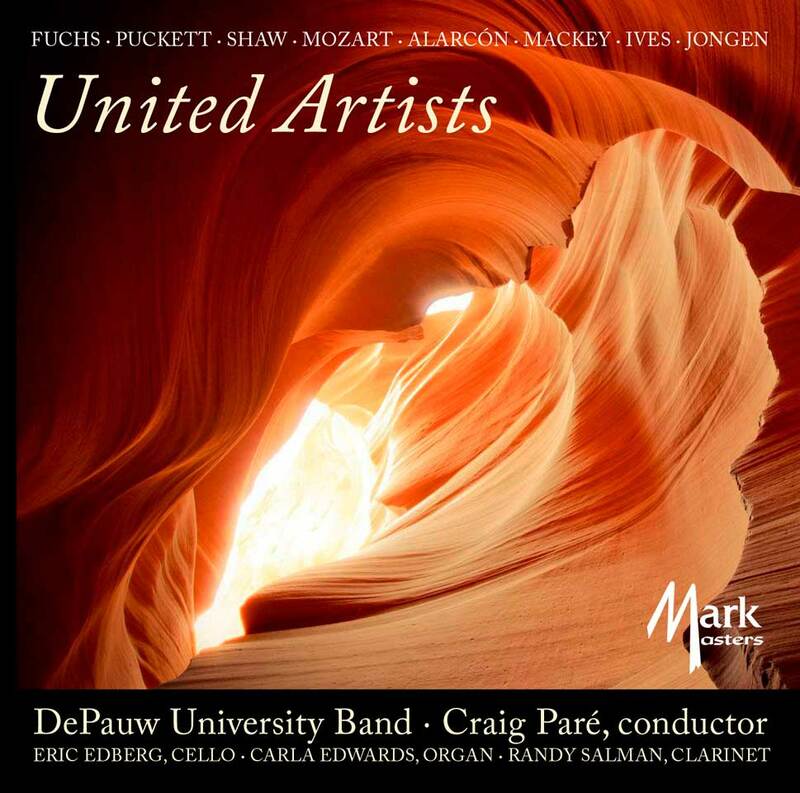 The DePauw University Band, conducted by Craig Paré, proudly announces the release of its ninth compact disc, United Artists. As with three of its previous CDs (Toccata Festiva, Brooklyn Bridge and Starsplitter), this newest release will be distributed on the Mark Masters label. United Artists was recorded April 24-27, 2014 in DePauw’s Kresge Auditorium. 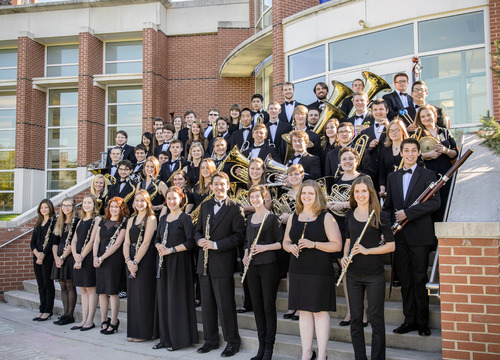 Members of the community have two opportunities to hear the music of DePauw School of Music professor of trombone James A. Beckel Jr., when the University Band and the University Orchestra feature music composed by Beckel in back-to-back concerts. The two performances -- in the Green Center for the Performing Arts' Kresge Auditorium -- will be given on Sunday, November 23 at 3 p.m. and on Monday, November 24 at 7:30 p.m. 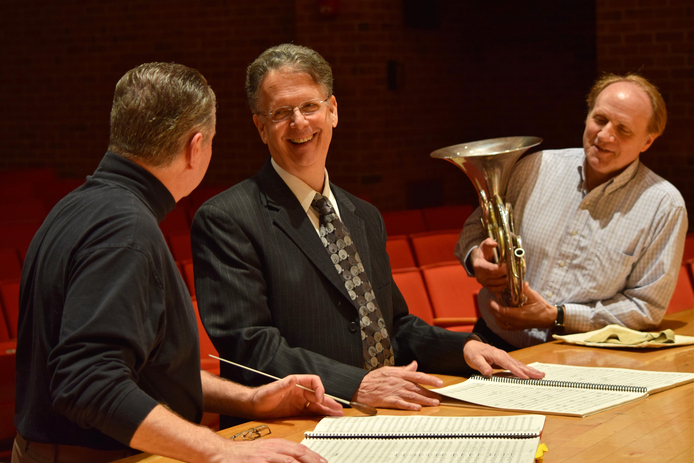 This weekend, when Craig Paré leads the University Band in the ensemble’s last concert of the fall semester, Robert Danforth, DePauw music professor and principal horn of the Indianapolis Symphony Orchestra, will be the featured soloist on Beckel’s Pulitzer Prize–nominated concerto for horn, The Glass Bead Game. The critically acclaimed work, now considered a part of the standard horn repertoire, is loosely based on the Herman Hesse novel of the same name. Samuel Barber’s Commando March, his first piece for band, is also on Sunday’s program, along with Ron Nelson’s Lauds and Frank Ticheli’s arrangement of “Amazing Grace.” Bring a non-perishable food item to donate to the Putnam County Emergency Food Pantry and redeem that item for a free concert ticket. "October is my favorite month," writes composer Eric Whitacre. "Something about the crisp autumn air and the subtle change in light always makes me a little sentimental." This Sunday, October 5, dancers from Company Unspoken join the DePauw University Band in a performance of October, composed by Whitacre, conducted by Craig Paré and with choreography by André Williams ’15. The collaborative performance will take place over Old Gold Weekend at 3 p.m. in Kresge Auditorium, located within DePauw's Green Center for the Performing Arts. Williams was just founding his new dance company at DePauw when he received the invitation to choreograph October. Nonetheless, he says when Dr. Paré proposed the idea of a joint performance it was truly an offer he could not refuse. "I'm thankful for the opportunity to work with such an amazing professor and influence on my life. When coming up with the choreography, I focused primarily on capturing Whitacre’s description of the piece and, after listening a great deal, took myself back to what I remember most about fall during my own childhood," the senior observes. The DePauw University Band -- joined by faculty soloists Eric Edberg (cello) and Carla Edwards (organ) -- presents its final concert of the 2013-14 academic year this Sunday, April 13. In the event, which begins at 3 p.m. in the Green Center’s Kresge Auditorium, the band will performing a wide range of repertoire that will be recorded at the end of the month for the ensemble’s ninth compact disc. The adventuresome program will include two movements from Mozart’s masterpiece for winds, Serenade No. 10 in B-flat Major, K. 370/361a, “Gran Partita”; Tramonto, a romanza for cello and wind ensemble by Luis Serrano Alarcón; Avelynn’s Lullaby by Joel Puckett; and the final movement, Toccata, of Joseph Jongen’s Symphonie Concertante, arranged for organ and symphonic band by DePauw professor of trombone, James Beckel. The DePauw University Band welcomes School of Music faculty member Randy Salman as guest clarinet soloist this Sunday, when it performs Artie Shaw’s masterful Concerto for Clarinet. 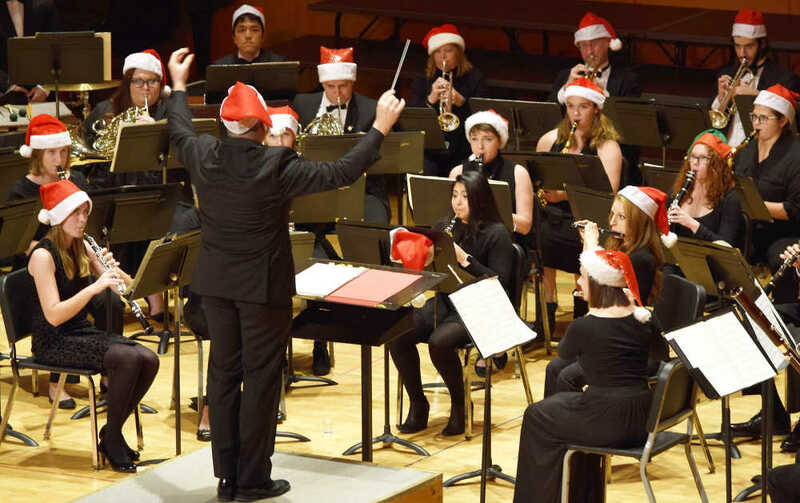 The concert, conducted by director of bands Craig Paré, will begin at 3 p.m. in Kresge Auditorium at the Green Center for the Performing Arts on DePauw's campus.